Most pet owners want the best for their animals and usually consider them as family members. Unfortunately like humans, they get sick, have aches and pains, and suffer from various ailments. Most of these can be improved through a natural diet and other natural solutions. One very popular and effective solution is the use of Young Living Therapeutic Grade Essential Oils. Humans have used essential oils throughout history for many different health applications. However with the pharmaceutical age, essential oils fell out of favor. 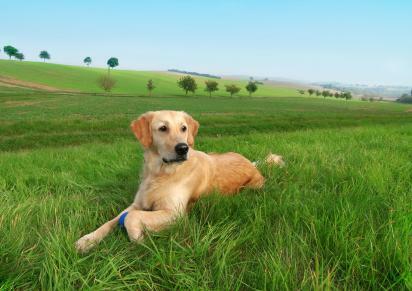 Recently, pets and humans have been enjoying its resurgence with improved health and wellness. More and more people are realizing that the risks of today's drugs for pets can be loaded with side affects known, and unknown. In the first half, we will discuss why NOT ALL ESSENTIAL OILS ARE CREATED EQUAL, why it is important to know the difference in oils, and how to use essential oils safely. We will also discuss the history of essential oils and modern day science discoveries. In the second half, we will cover topics such as: natural remedies for fleas, ticks and parasites, allergies, fear/anxiety based behavior issues, how to calm excessively active dogs, natural remedies for pain/inflammation or injuries, effective treatments for kennel cough and diarrhea, and much more!